Use webmaster@audiodesignguide.com to contact me by email for question on my projects..
Use ciuffoly@gmail.com to contact me with Windows Live Messenger for urgent live conversation on my projects. This website has been design for Internet Explorer 6.0 but should be visible on any other browser because it does not use Layer, Frame and Java applet. I have been involved in Audio Hi End DIY for over 20 years. My aim is to search for new solutions, to try new ideas and to look for any kind of improvement. After some testing, until now, my cable choice has always been a stranded tinned copper wire with pvc insulator. But all my ideas have changed three weeks ago when I have heard a big difference trying a cable that one of my friends uses in his system. Of course I am not talking about a little difference in small particular details but about a very big difference in the reproduction of sound as a whole. 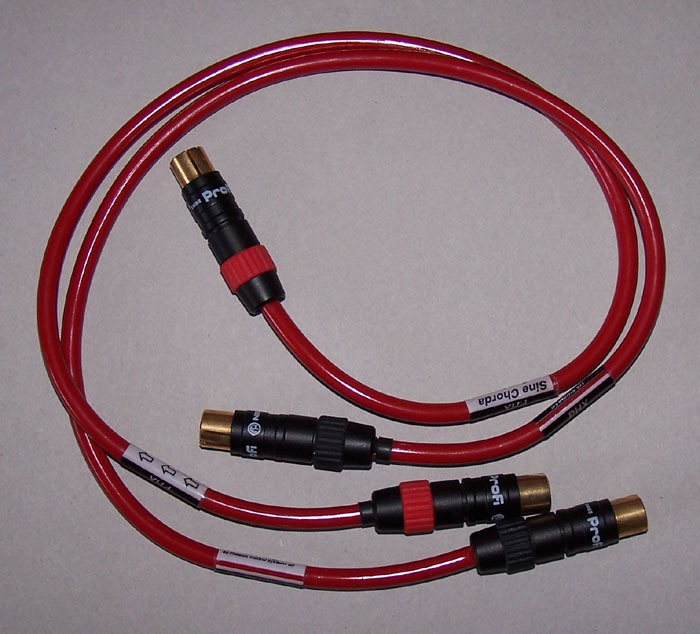 During a test, without any doubt, anyone would prefer an average DIVX player connected with this cable to the amp, instead of a hi-end DAC like my DAC 5.0 and a commercial quality silver cable. I am talking about the Sina Chorda Analog by Phoenix Control System srl. Only very few units of this particular cable have been produced because the person who created it suddenly died in a car accident and his company closed right after his passing. As far as I know, nobody knows which particular tecnology has been used to produce this cable, so it's impossible to reproduce it without conducting a difficult and expensive in depth analisys of the materials. Thus, I have now decided to try to find the same results with another product, testing as many cables as possible.